ibaHD-server (HD=historical data), the new software component developed by the Fuerth based iba AG, records data continuously over long periods of time and displays these data consistently. With the same tool, users can watch live data and access historical data without any delay. 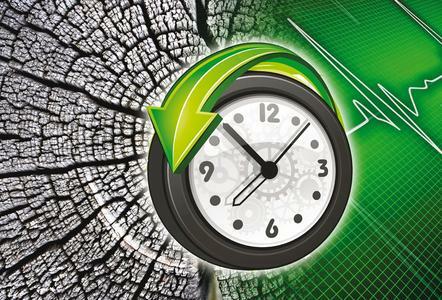 Whether in paper manufacturing industries, processes in continuous casting or chemical plants: especially in long technical processes, the possibility to record data over file boundaries is a clear advantage. So far, iba AG has followed an approach that offers very good solutions for batch processes: The ibaPDA system for data acquisition generates single data files that can be displayed and analyzed by means of the ibaAnalyzer analyzing tool. Analyzing these data over a long period of time, has been so far rather tedious. You either had to analyze single data files or to arrange a string of files in the ibaAnalyzer tool. The new software component ibaHD-server facilitates this long term analysis. The ibaHD concept comprises a client- and a server component. The server component runs under Windows, either on the ibaPDA-computer or on a separate computer in the network. ibaPDA continuously acquires data and sends these to the HD-server. The measured data are stored in a special file structure for weeks, months or years. A client component, which is integrated in the ibaPDA-client, displays the data. With only a few clicks, the user has access to long term overviews as well as to signal details in a range of milliseconds. An ibaPDA-system can supply several historical data records on one or more HD-servers with data. This way, you can e.g. separate production and maintenance data. You can define individually for each HD recording, which signals are to be stored. Moreover, several ibaPDA-systems can write their data on one single HD-server, but in different HD-recordings. Hence, the HD-server is e.g. 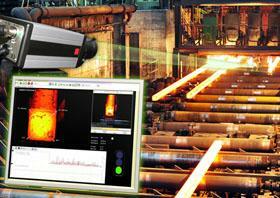 a superior level solution for recording data from several installations of a plant. The scope of performance of the ibaHD-server can be customized. The basic licenses are graded according to the number of signals and comprise one HD-server, two HD-recordings and two HD-clients. According to Dr. Ulrich Lettau, CEO of the iba AG, the system is to be extended: "We want to improve the ibaHD-server continuously. 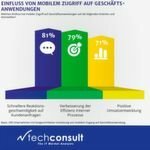 To take an example: in the near future, the software will be able to record and display historical data in a product-based manner." 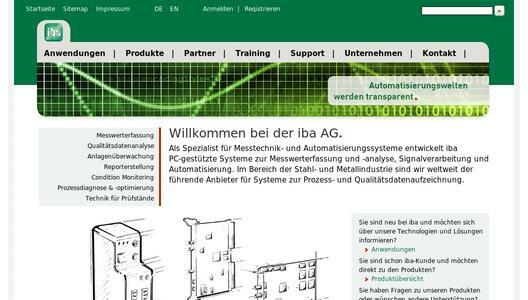 The iba AG based in Fuerth (Northern Bavaria), is considered globally to be a leading specialist for high-quality, PC-based systems for data acquisition and analysis, signal processing and automation. Products are used in steel and metal industries, pulp and paper industries, in the field of transportation systems, for test benches as well as for power supply and wind turbines. 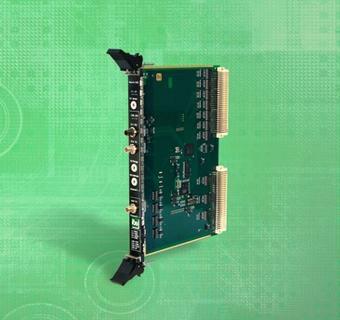 The main feature of iba products is their distinct connectivity to other systems and bus technologies. An iba data acquisition system can be connected to almost every common automation system.